I usually have truckloads of mint and coriander leaves sitting in my fridge. Most of the time these leaves are used for garnishing or preparing green chutney. This time I decided to prepare variety rice using these fresh leaves. Wash and soak the basmati rice for 15 minutes. Cook the rice with salt and spread it out on a plate. Allow it to cool. Now grind pudina, coriander leaves, green chillies, coconut, ginger, garlic into a fine paste. Heat ghee in a pan and roast the cashews or peanuts, drain and keep aside on tissue paper. 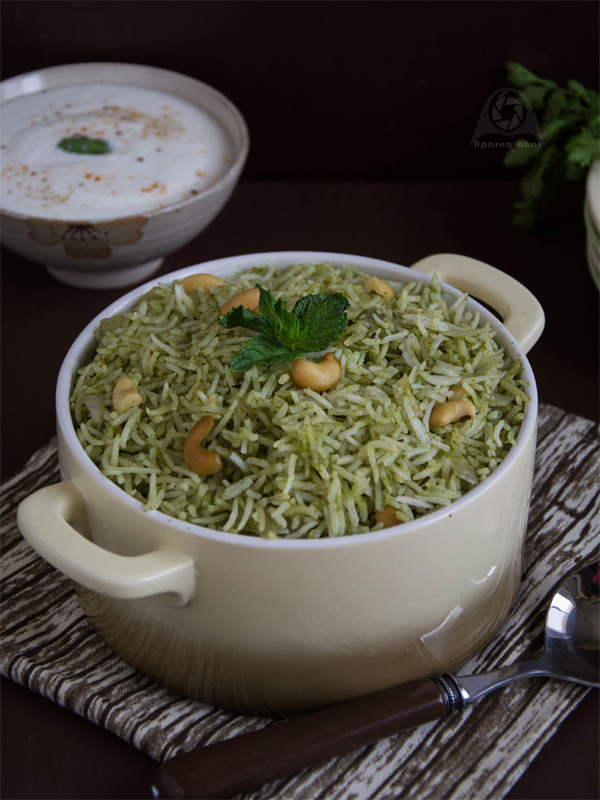 Garnish with roasted casehws or peanuts and coriander leaves. 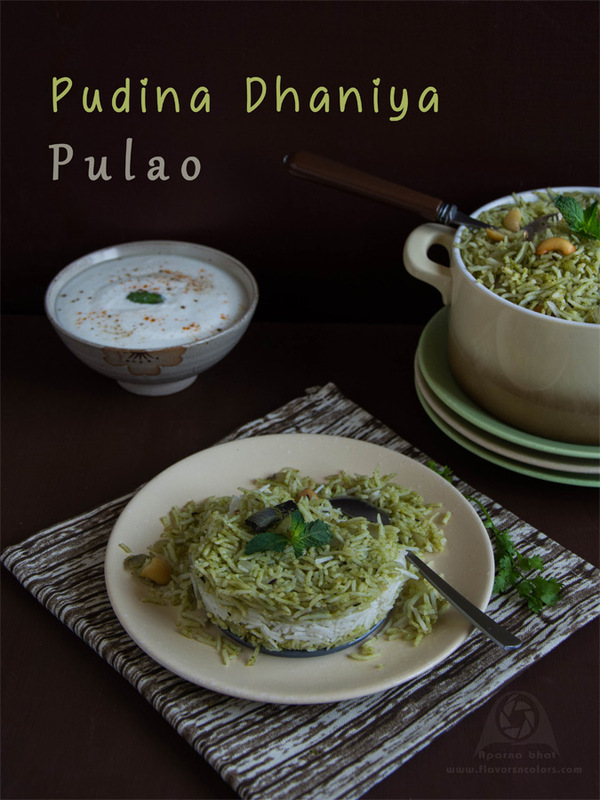 Serve it with raita of your choice.